KEVIN MACPHEE wins the main event of the prestigious tournament WSOP Europe 2015. The victory yielded him a very good cash prize of €883,000 as well as a gold bracelet for him. 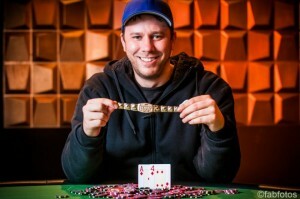 This was his second gold bracelet at any prestigious poker tournament; the first gold bracelet for him was $5,000 Turbo event, earlier this year. It was a great event for me. I thought I would do this but winning two gold bracelets in the same year is quite unreal for me. This is very exciting for me, he told to the reporters after winning the main event of the precious championship. MACPHEE also told that I’m not a great player of mix game though I love to play No Limit Games. This was the final event took place at Spielbank casino in Berlin to which Kevin did really well and won second bracelet for him. It was indeed a historic couple of week passed in Berlin. The starting event of the tournament saw a historical win by a Greek Player named Makarios Avramidis in any game of WSOP History. The tournament was a big hit among players around the world and was the biggest in terms of occupancy. The World Series of poker Europe for the year 2015 attracted lots of real money players. An event named €550 Oktoberfest attracted 2,144 entries which is a record to any such kind of tournament. Total number of entries to the main event got hit to 313. The buy in for the main event was €10,450. Generated a pool prize of €3,067,400 in which top 32 players made some money. The 32nd place of the main event goes to Jason Mercier who collected €20,000 as his share of cash prize. This was the end of two week long WSOP Europe being held at Spielbank casino in Berlin (Germany). To know more updates about WSOP, World poker tour, European Poker tour, UK poker news or anything regarding poker, you can check out this particular site. The site also provides great welcome bonuses and many benefits to either pro online poker players or newbie’s.